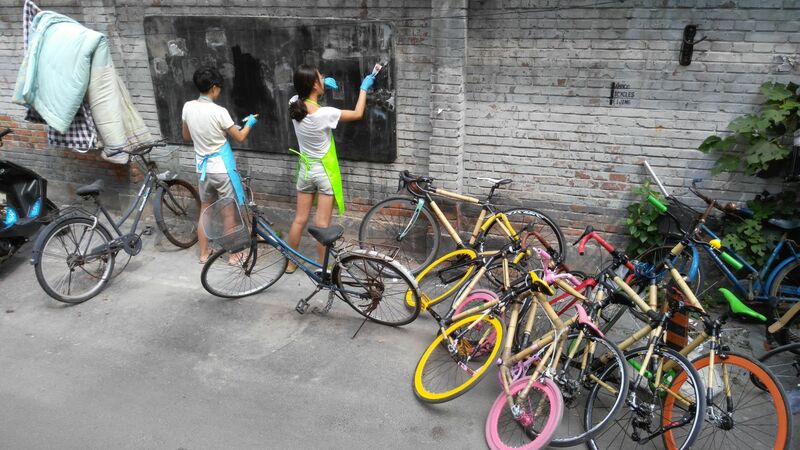 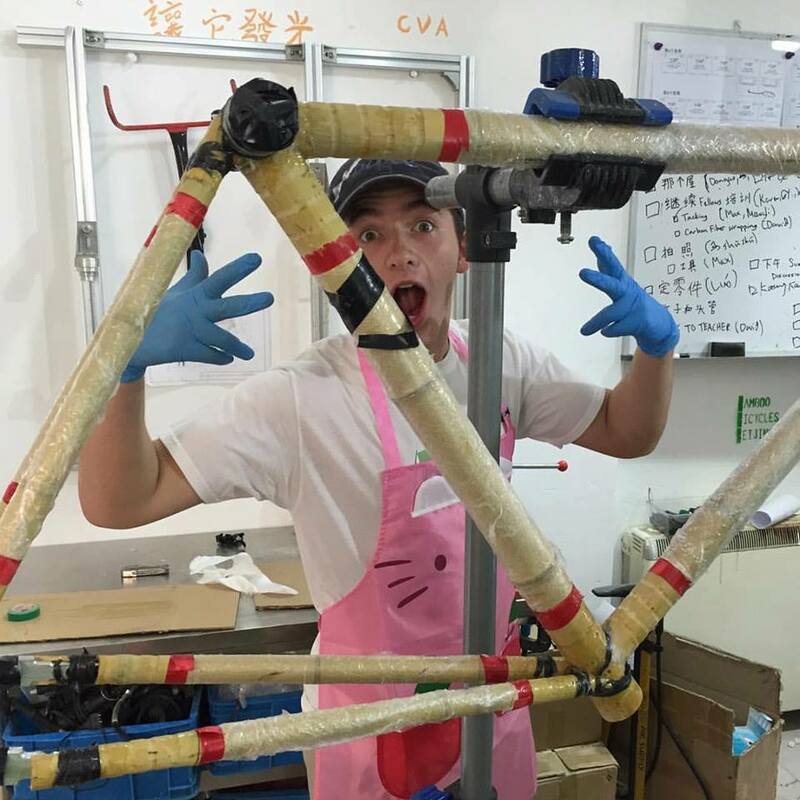 In 2016, BBB recruited high school and college students from across China and the world to join the team for an incredible 6 weeks of bike building, community engagement, and some excellent Fellow projects. 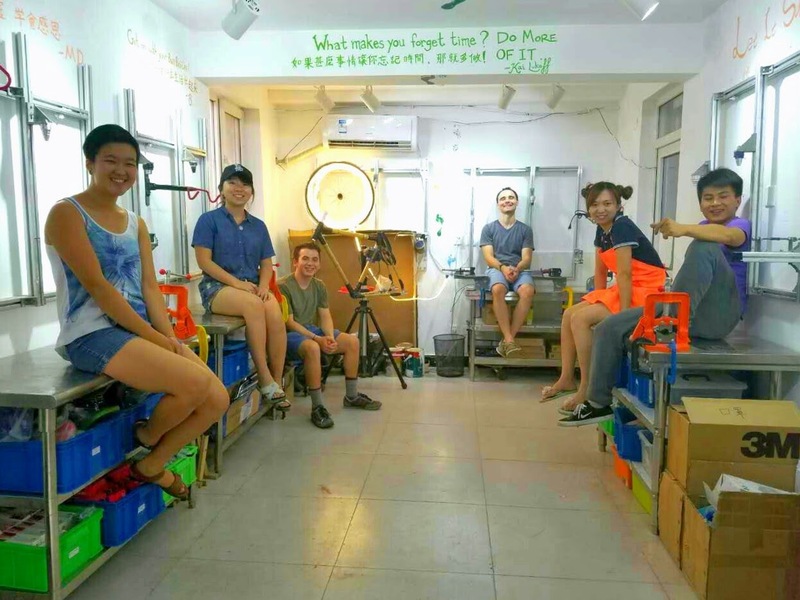 With funding from MIT Global IDEAS, Hampshire College Luce Foundation, and Stanford Hass (as well as BBB's own funding), six BBB Fellows led found "what makes them forget time" in: filming videos, interviewing neighbors to make a community message board, a bamboo strength testing machine, a BBB volunteer experience program, a bamboo bike rack and bike light, and a bunch of day-to-day projects! 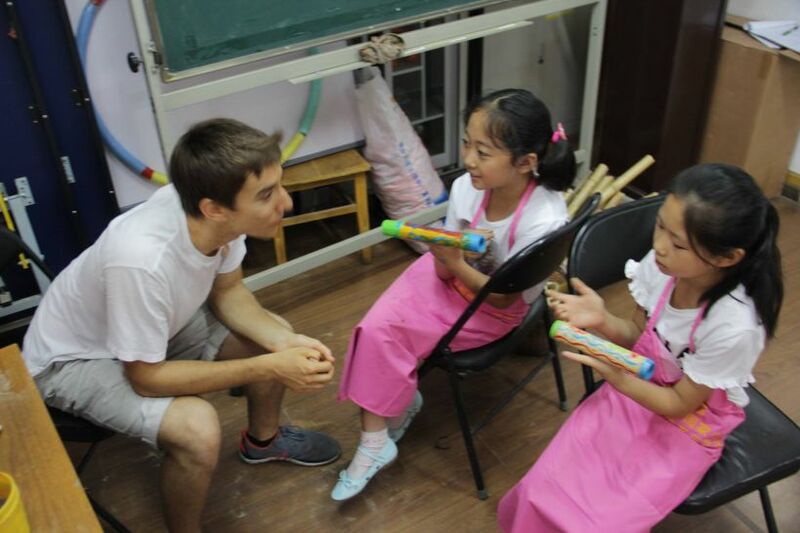 Click on their introductions to see their reflections from the summer and the work they did. 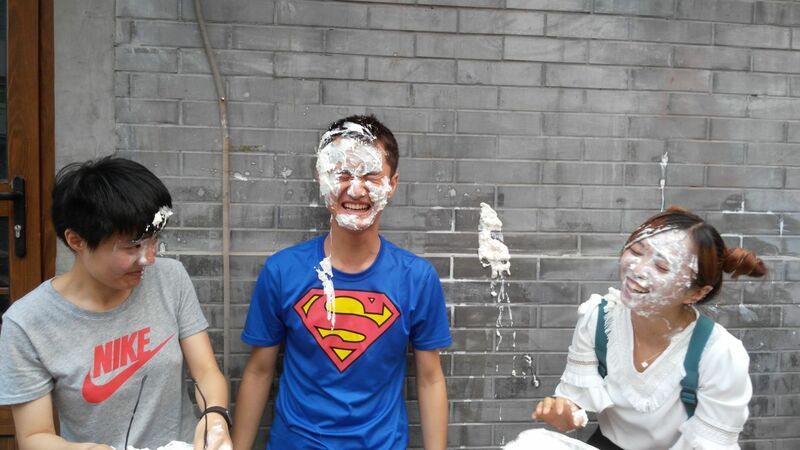 And the formal introduction . 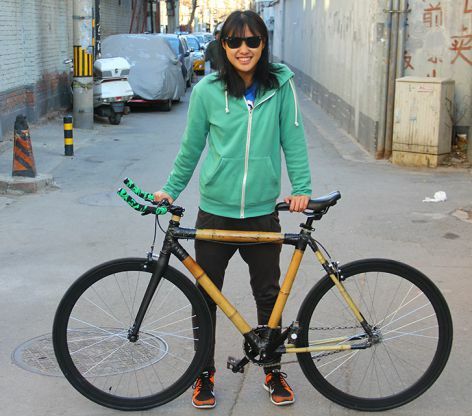 HOW STRONG IS BAMBOO ANYWAY? 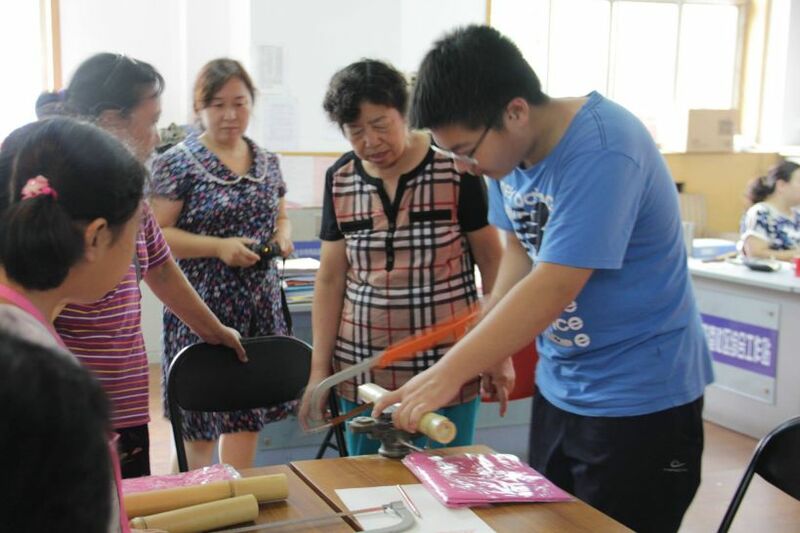 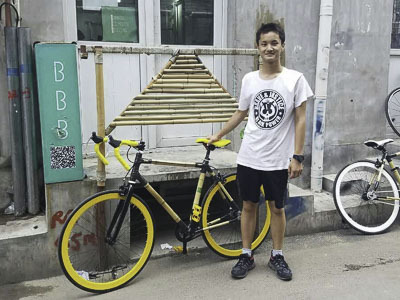 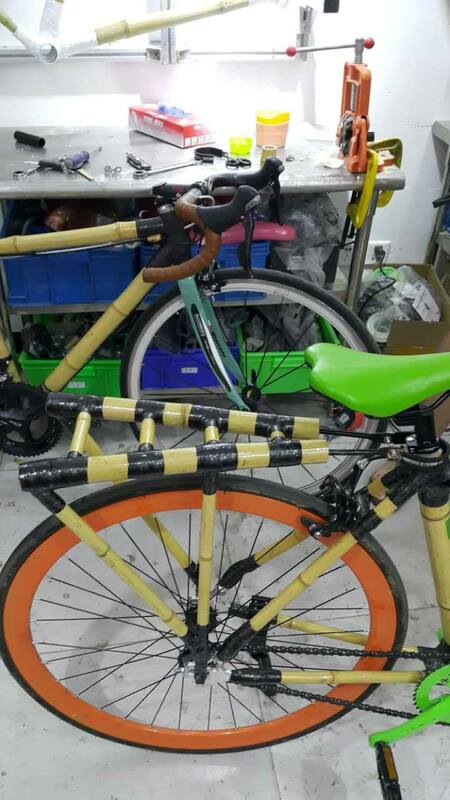 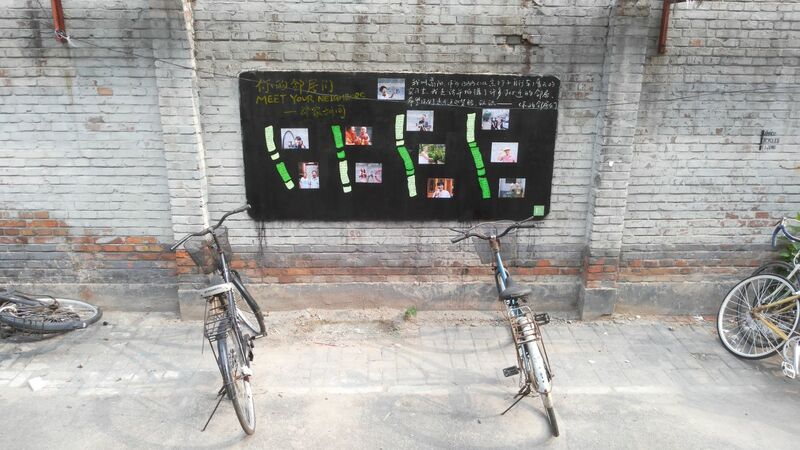 A musically inclined Xi'an native and a rising high-school senior, Jason finished his bamboo bike in June and started recieving all kinds of questions from his friends about whether bamboo was strong enough. 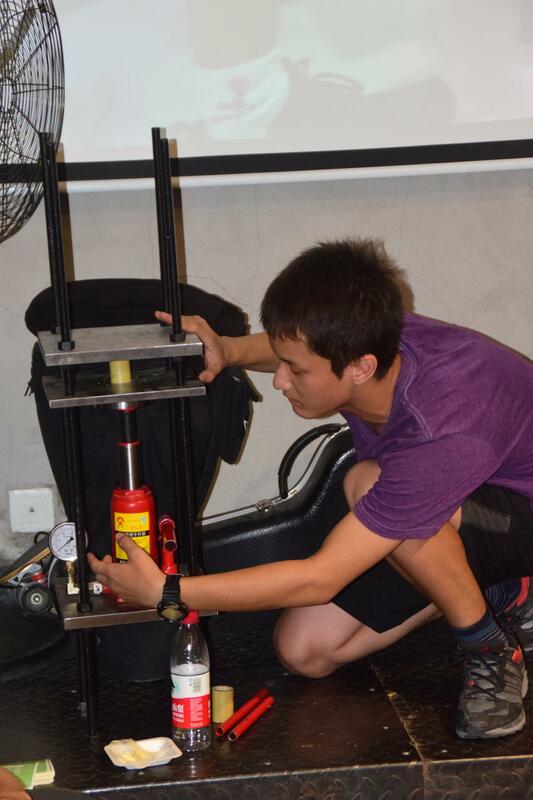 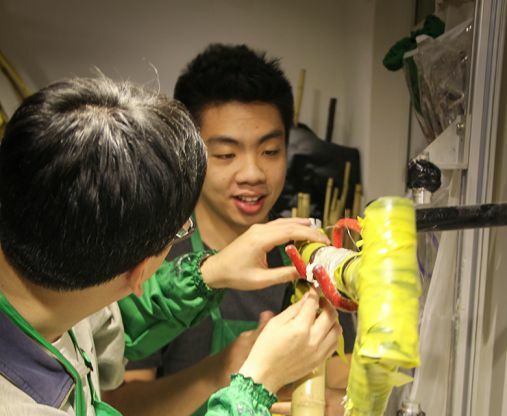 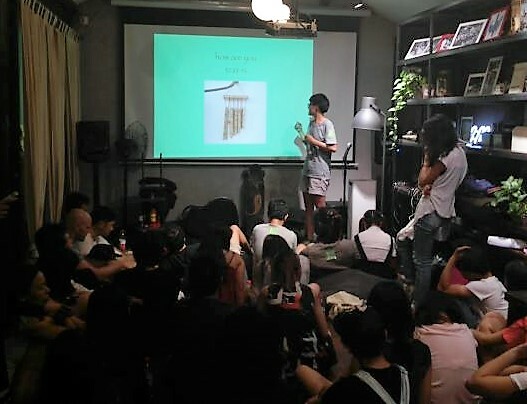 Being a self-proclaimed science geek, Jason set about designing and fabricating a compact machine to test the different strengths of bamboo poles. 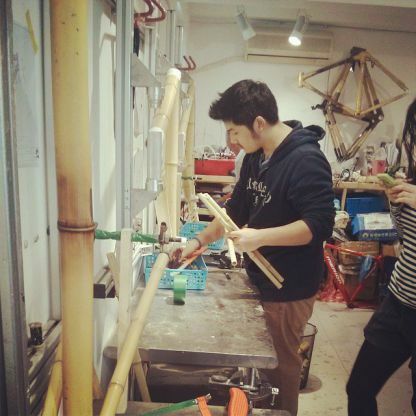 Now anyone can swing by the workshop and see for themselves how strong bamboo can be! 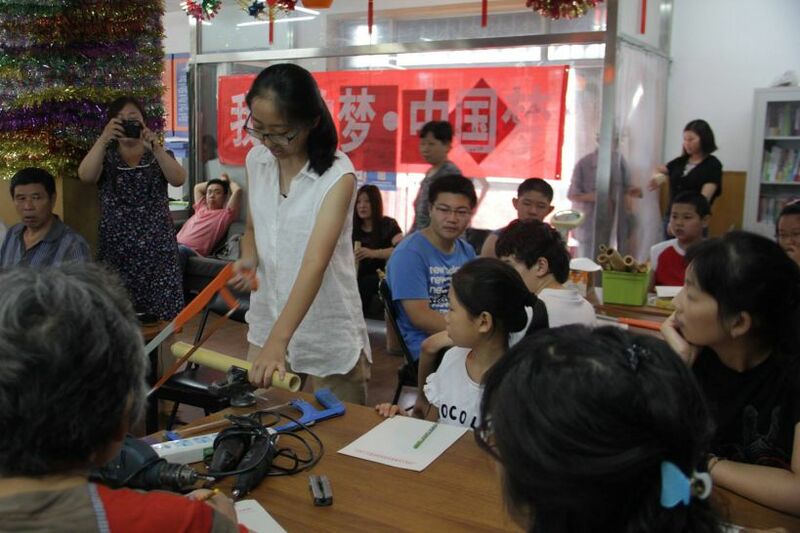 This polyglot arrived from Stanford University ready to learn some new fabrication skills. 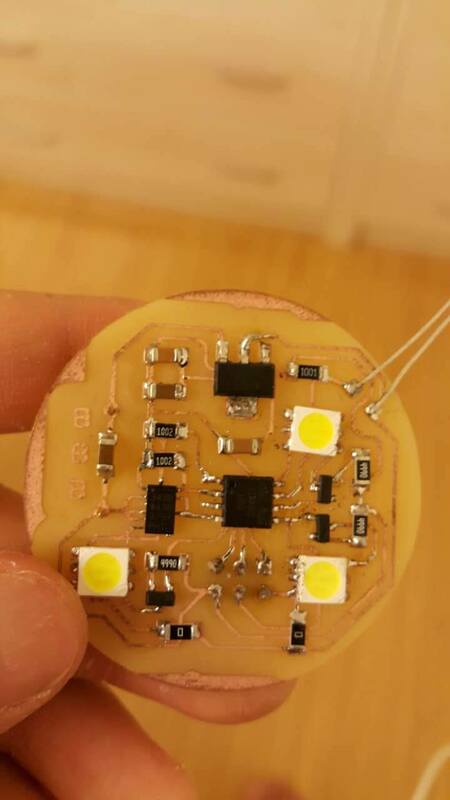 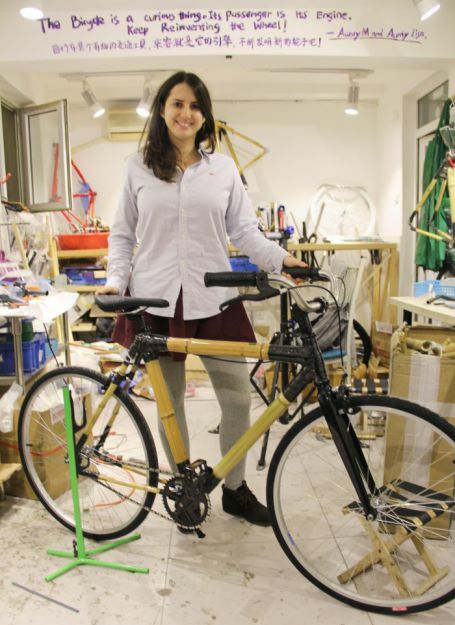 After making her bike, Karen worked on designing and fabricating a bike light that turns on automatically when it gets dark out and a bamboo bike rack to meet all the requests BBB gets for such an item. 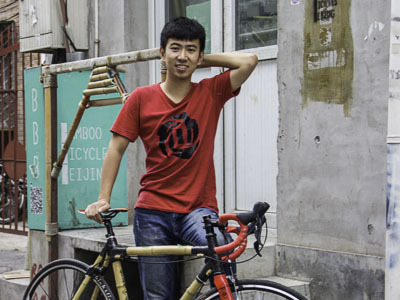 Returning to China after several experiences here, Max, a high school senior, joined BBB's summer hoping to learn how he could start leading his own bamboo bike workshops in the United States. 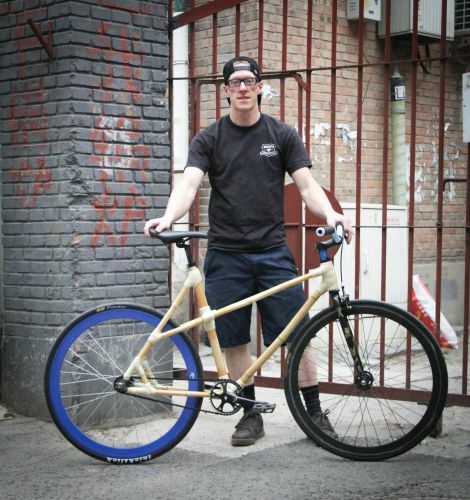 For his project he filmed a first person video of a bike build to help both himself and future builders get a sense of what it feels like. 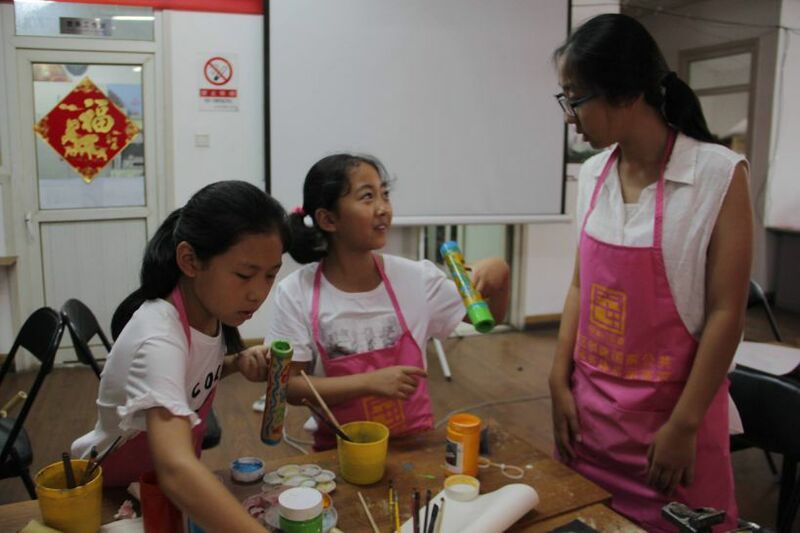 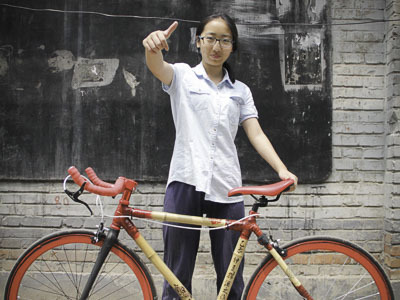 High schooler from Beijing, Carol, joined the team to make a bike. 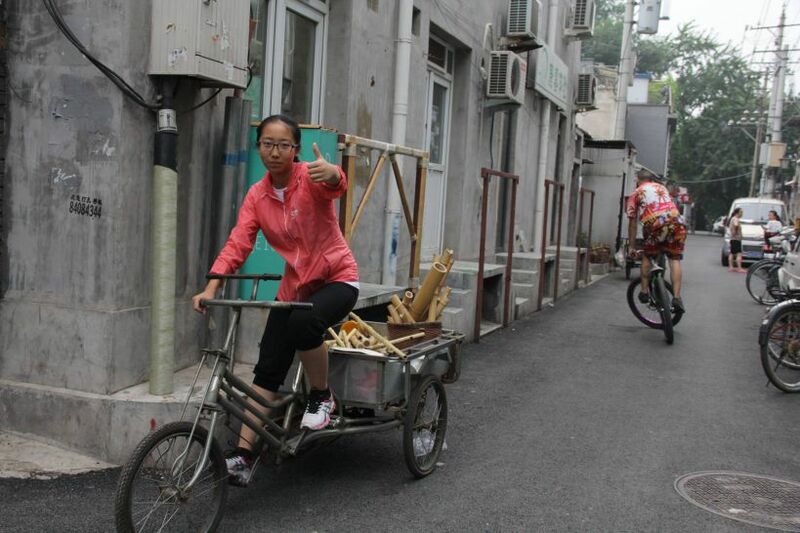 Unfortunately, she had to leave the program early to prepare for her college tests. 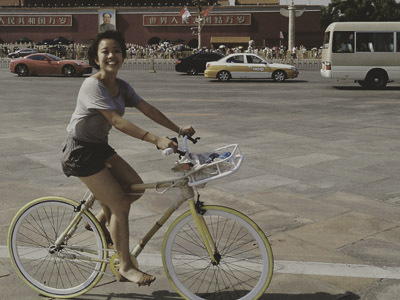 Coco is the BBB Fellow who laughs the most and her bright personality is infectious. 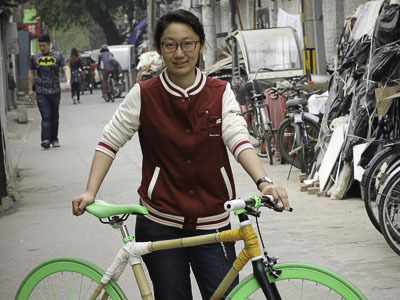 She spent the summer finding old, thrown out bicycles and rebuilding them into new ones. 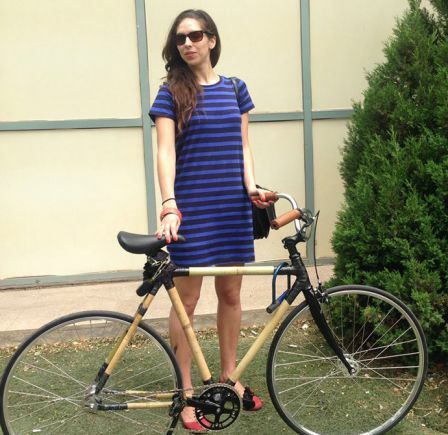 She would like to start this program in apartment complexes where bikes often lay forgotten. 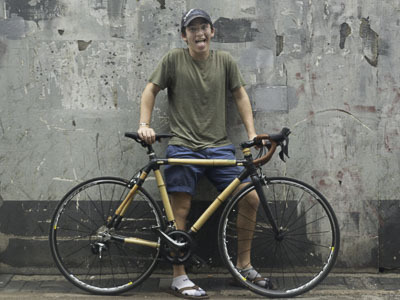 Jackie has the most hustle out of his BBB Fellow cohort. 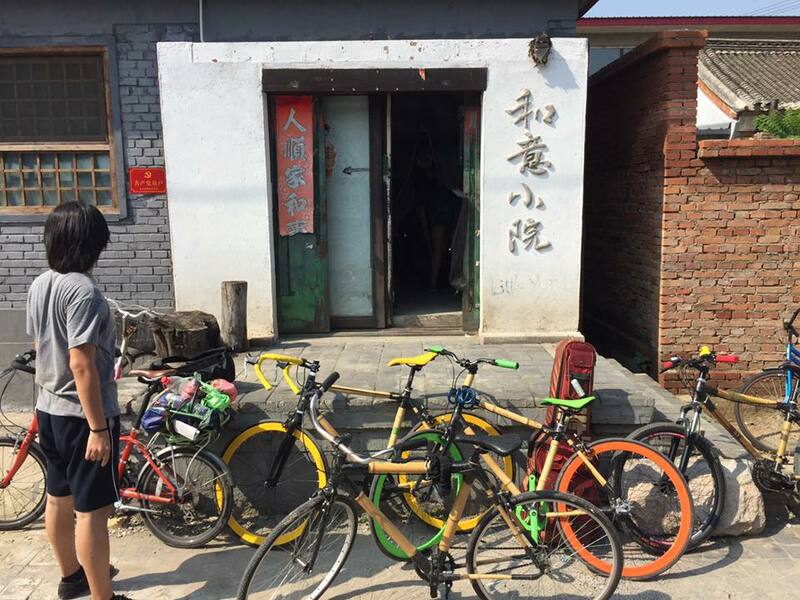 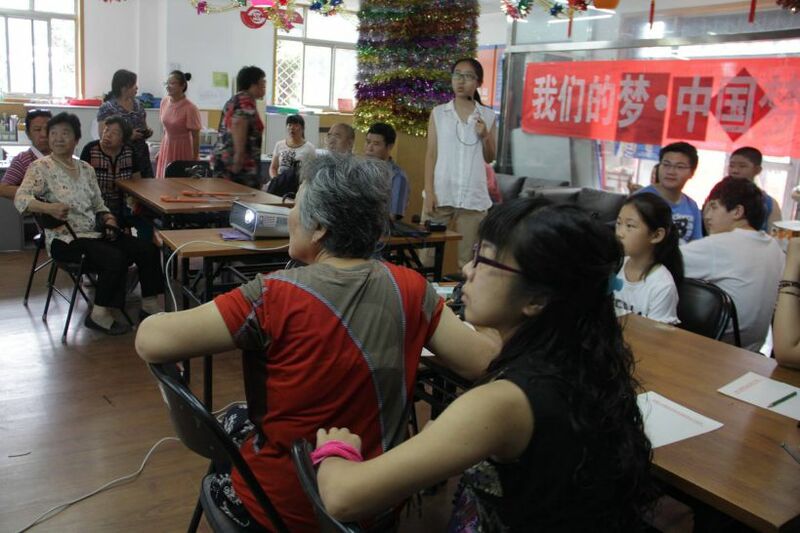 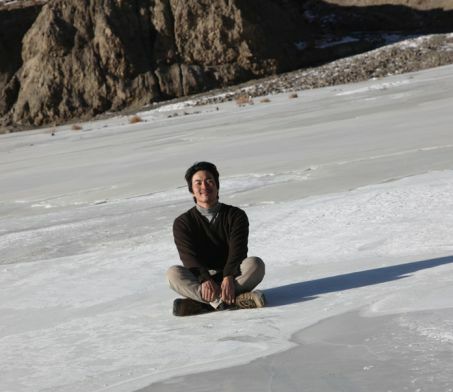 He spent the summer after his last year of high school as a BBB Fellow running around the hutong meeting the neighborhood businesses. 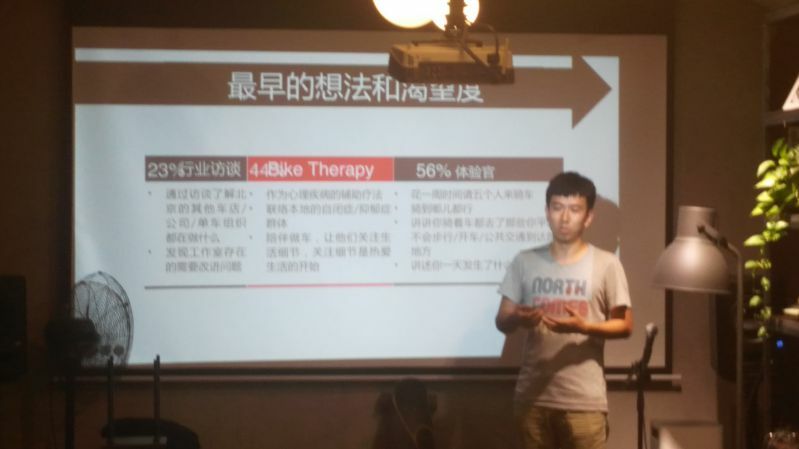 He made a map of the local business for BBB community members to peruse. 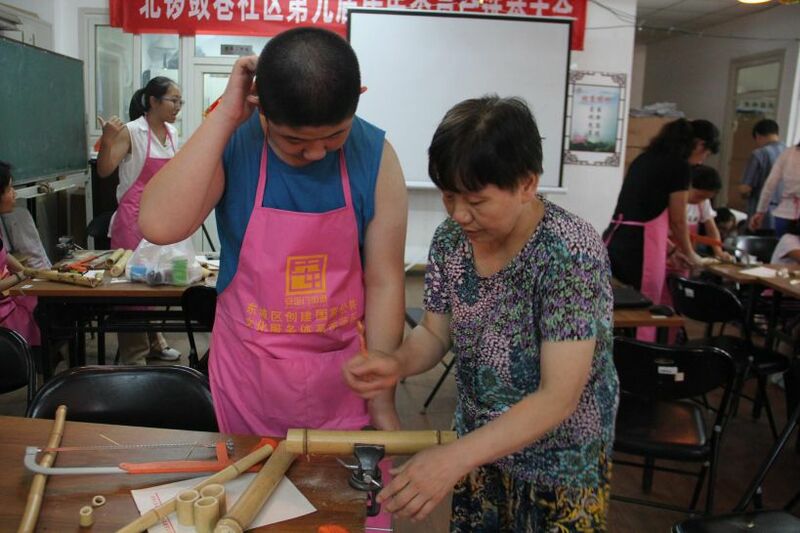 At the same time, Jackie loved making! 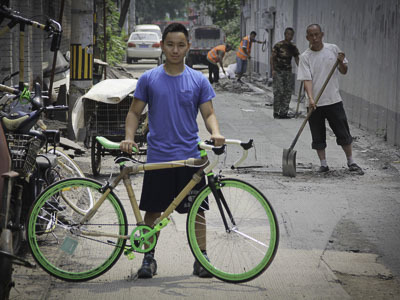 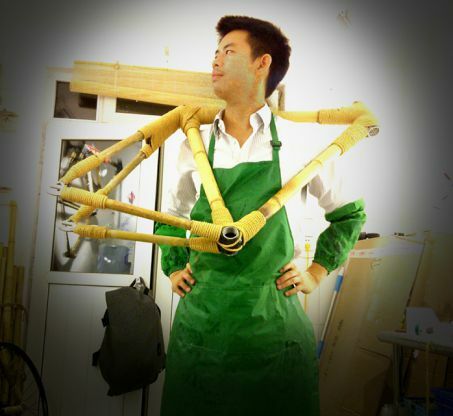 In between breaths, he used bamboo to make BBB's storefront sign, fix a chair, a bamboo skateboard, and a lot more! 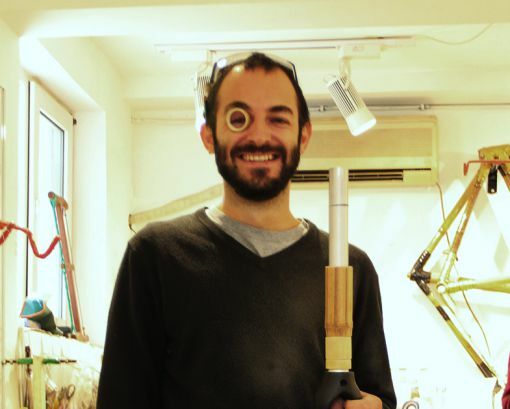 Joining BBB in 2014 and participating in every facet of its development, Marshall found he had a passion for film. 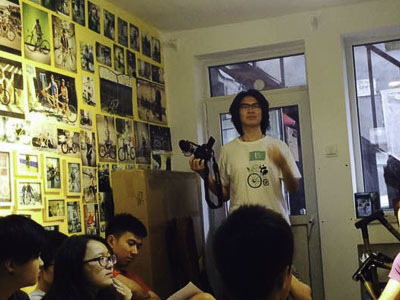 Using BBB as his subject, he created all kinds of fun videos about BBB. 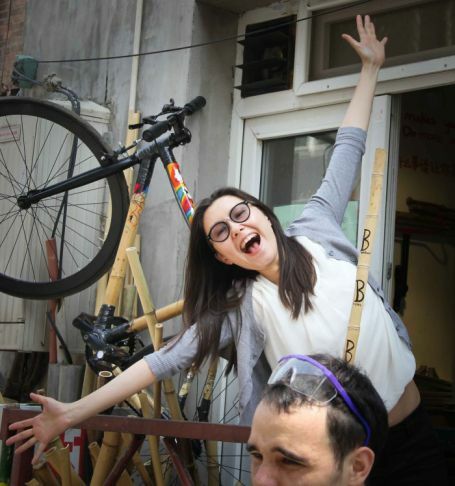 Geena arrived at BBB in the midst of a workshop. 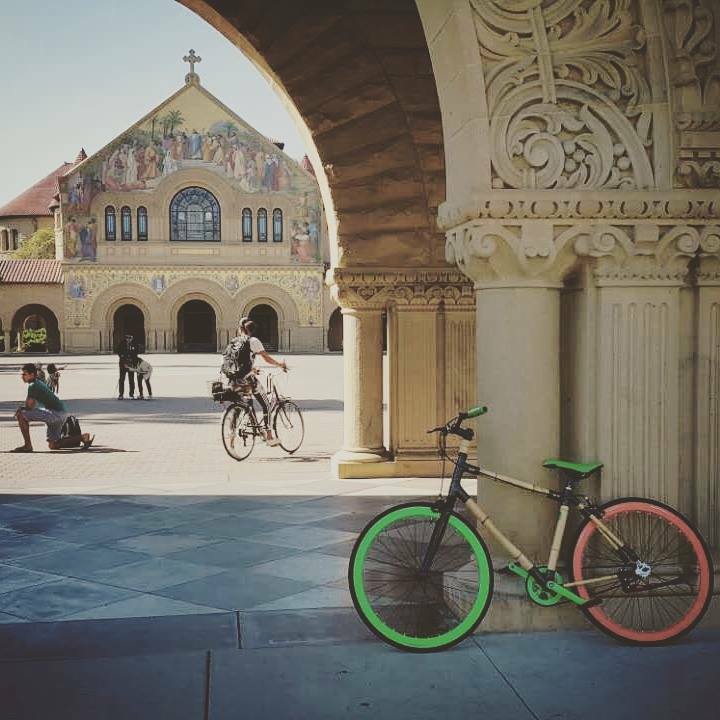 Having come all the way from Stanford after her junior year, Geena wanted to practice her design skills. 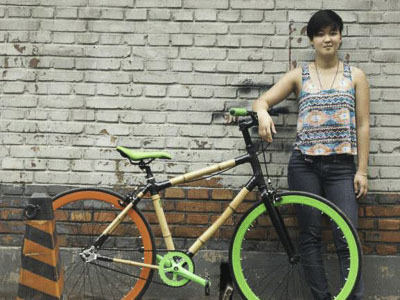 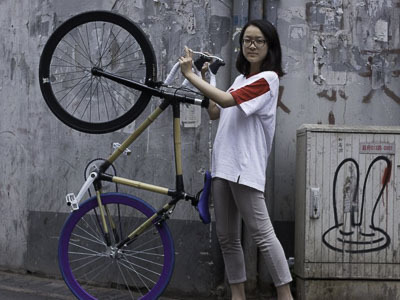 She worked to create an illustrated guide book so people could better understand how we make bamboo bikes. 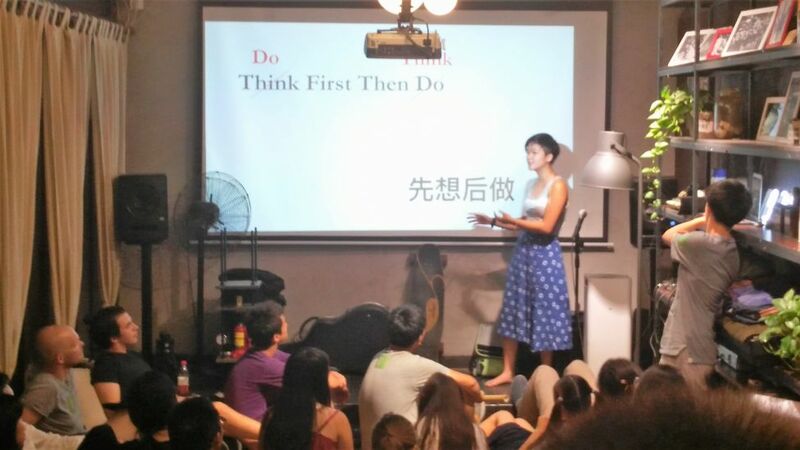 She also refined BBB's original website!